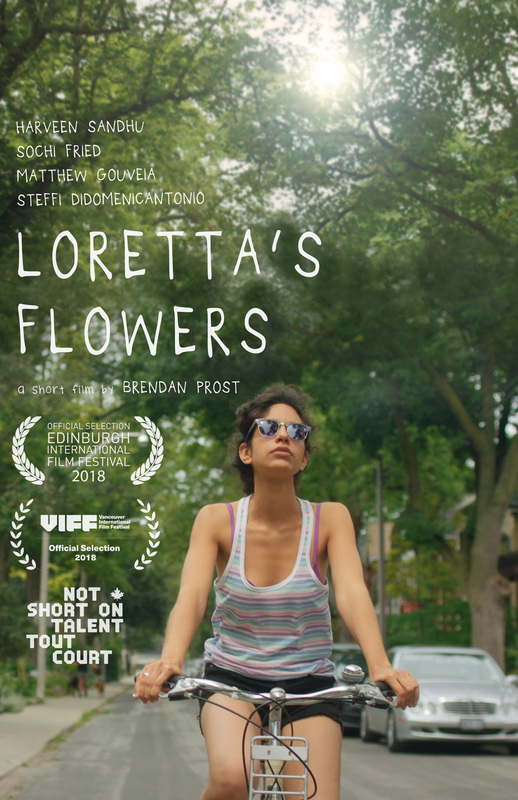 Loretta’s Flowers is a queer character drama about a persistent and insatiable hunger for connection, even in the face of diverse social abundance. During the course of a long summer’s day in Toronto, a young woman named Loretta cycles between increasingly intimate encounters with three strikingly different people, and yet still goes home lonely and unsatisfied. First, she meets Camille, a recent transplant to Toronto from Winnipeg, at a patio bar in Kensington Market. Camille earnestly tries to initiate conversation, eager to make a friend in her new city, but Loretta struggles to reciprocate, seeming irresolute and unresponsive to cues. Camille grows confused, and Loretta eventually resigns herself to the limitations of their interaction. Heading out of the downtown, Loretta stops outside the home of Bailey, an aging part time punk rocker. 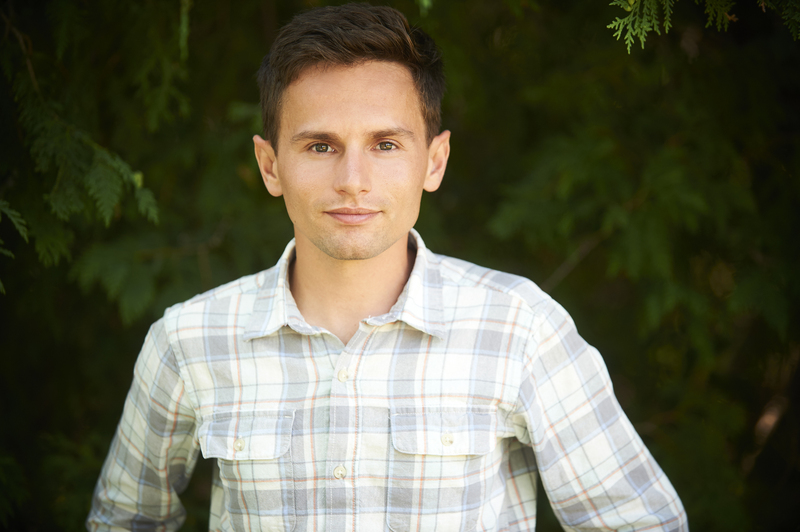 While Bailey initially assumes a paternal role for Loretta during a somewhat familiar conversation, she hints at a desire for deeper rapport. When Bailey seems to ignore her signals, they share a moment of physical affection that complicates the nature of their relationship, and the certainty of Loretta’s sexual orientation. Finally, we find Loretta in the bed of another woman, Frances, shortly after making love. Reduced to trying to rouse her attention by tracing lines in Frances’ back with a pointed finger, Loretta is at a low moment, feeling a million miles away. Frances, in her efforts to reassure Loretta, only exacerbates things. But, their level of personal familiarity implies a longer term relationship, which makes the nature of Loretta’s previous encounters more obscure.